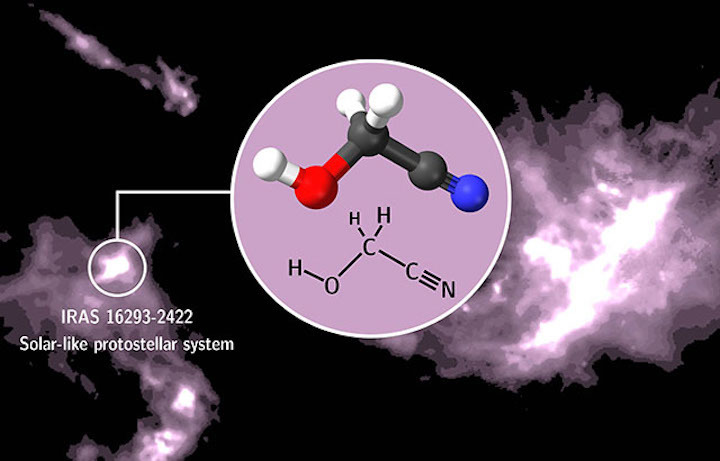 Research paper: ‘First detection of the pre-biotic molecule glycolonitrile (HOCH2CN) in the interstellar medium’. S. Zeng, D. Quénard, I. Jiménez-Serra, J. Martín-Pintado, V. M. Rivilla, L. Testi and R. Martín-Doménech. MNRAS Letters. 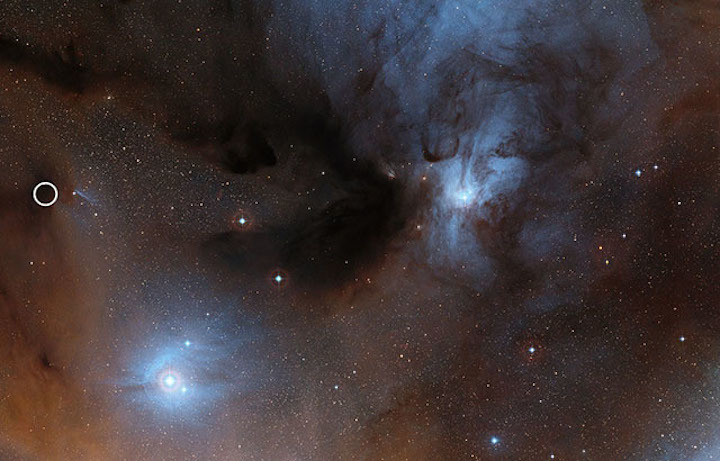 The UK’s access to ALMA is maintained thanks to the Science and Technology Facilities Council (STFC)’s subscription to ESO.